You can do easily by following the steps below to set the property for each single keyword. 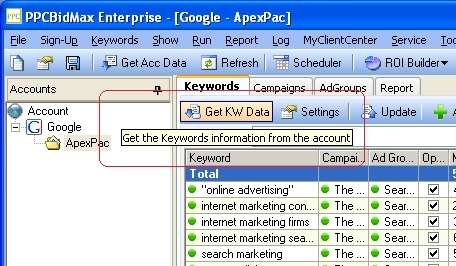 First, get the latest informatio about your keywords by clicking the "Get KW Data" button on the Keyword Panel. Select the keyword you want to start the bulk/multiple edit from, Hold the "Shift" button and select the keyword you wish to end. 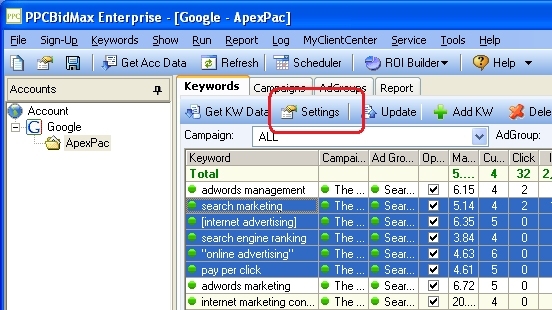 Click on the "Property" button on the Toolbar to set the keywords properties. click on the dropdown button to select what changes you wish to make on these selected keywords.